Heading to a new, untried circuit, there are a number of unknowns - though modern software and three dimensional mapping means that those are probably not the ones that can be easily anticipated. All of the teams will arrive having already modelled the circuit and with a good idea of what aerodynamics they will run, along with suspension settings, gear ratios and more besides. Perhaps they will be less perfectly dialled in than usual, but the impact may be no different than turning up at Brazil to discover the bumps have changed. The circuit is dominated by the longest straight of the season, and a far slower third sector. Although this sounds superficially like Indianapolis, it is apparently also similar to Spa, so an emphasis on low drag to maintain top speed is important, rewarding the efficiency to have good downforce for the corners. Making things more interesting, Fuji is a high altitude circuit, which means lower air density, rather similar to Brazil, so there is a corresponding loss of downforce and engine power. In 2006, the race was run at Suzuka, seeing the Ferraris line up on the front row, Toyotas following with Renaults then Hondas behind: Bridgestone clearly held some advantage in qualifying here. On race day, it was a different matter. The Ferrari duo slid off in to the lead easily enough, but after passing his teammate on lap 2, Schumacher was unable to open a decent lead on the pack. Alonso pushed the Toyotas along, clearly much faster but unable to pass, whilst the midfield fought hard for places amongst themselves. When Trulli pitted early on lap 12, Alonso pushed past Ralf Schumacher and set about closing down the Ferraris. He ate chunks out of Schumacher's lead before putting on lap 15, emerging ahead of Massa, who had been forced to pit three laps early with a slow puncture. Schumacher pitted three laps later, still leading; the gap remained four to six seconds through the second stint, before both drivers stopped a lap apart - only to see the Ferrari retire at Degner with a blown engine. It left Alonso in a comfortable lead and able to control his pace to the flag. The Toyota duo were running well behind Alonso and Massa, until Trulli began to struggle on his final set of tyres, with the result that Fisichella, Button and Raikkonen all came past during the final stop sequence. Temperatures are expected to be around 20°C for the weekend, which is pretty normal running for Formula One, but the high chance of rain should make life interesting. Showers are predicted for Saturday morning, so Friday practice may well involve getting the cars set-up for qualifying, as there is likely to be a wet running on Saturday followed by a dry qualifying session. That said, a sixty percent chance of rain on Sunday means that teams are probably going to be running compromised set-ups in order to ensure they are able to handle any downpour during the race. The optimal strategy depends on how long it takes to get through the pits - a long entrance or exit will push teams to a two-stop, whilst a quick entry and exit would make three stops a better choice. 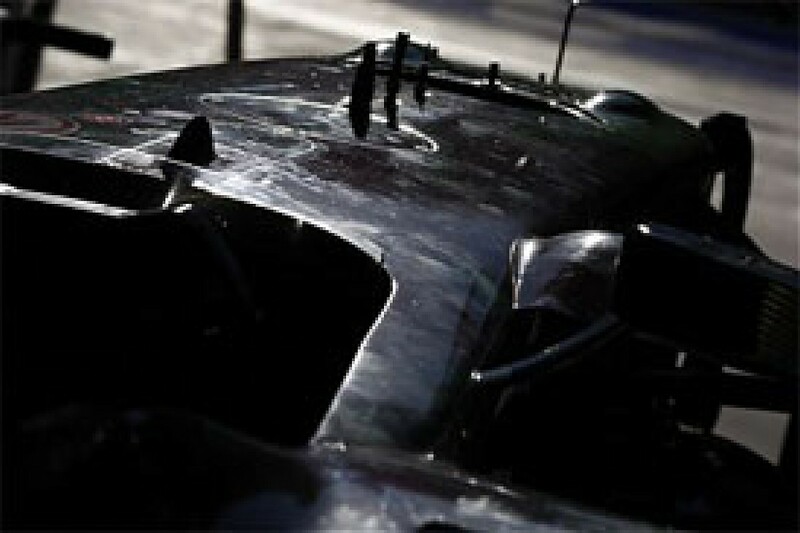 Besides optimising for a dry race, the teams need to have some consideration for flexibility around when they think rain might arrive: those who see an early shower might under-fuel cars, whilst the opposite is true if a team anticipate rain later on - potentially making a single stop attractive. The long straight comes off a tight sequence and leads to a wide first corner, so there should be overtaking opportunities - emphasising the importance of getting race day strategy right over qualifying at the front. With Ferrari now unassailable in the constructors' championship, the drivers' championship is still in play: things are tight at the front, though there are now only really three drivers in contention unless McLaren start failing to finish races. Accordingly, reliability remains critical, and if any of the protagonists misses out on points, they are probably not going to recover. McLaren and Ferrari should be pretty closely matched here, so anticipating weather and calling the right strategy is probably going to decide how the podium is filled out. BMW remain firmly the third best outfit and ought to have an edge over the midfield, with Renault, Williams and Toyota looking for the final points. 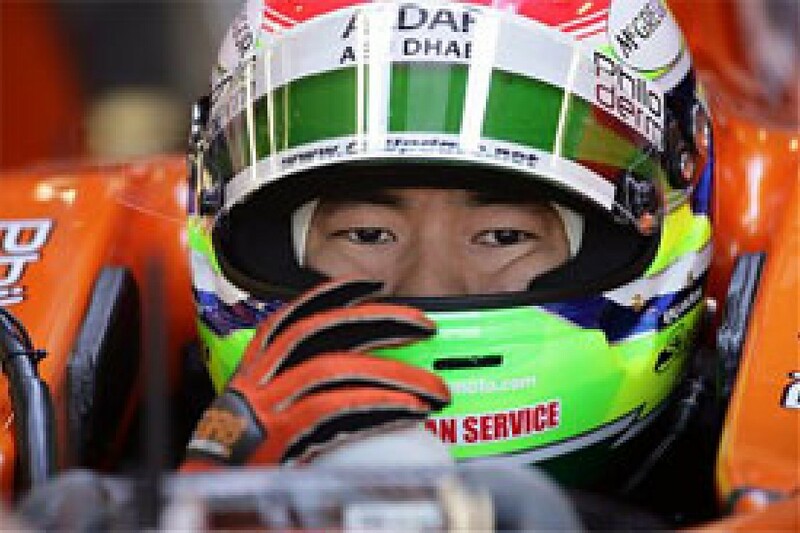 "Racing in Japan for me is always like competing in a second home Grand Prix. 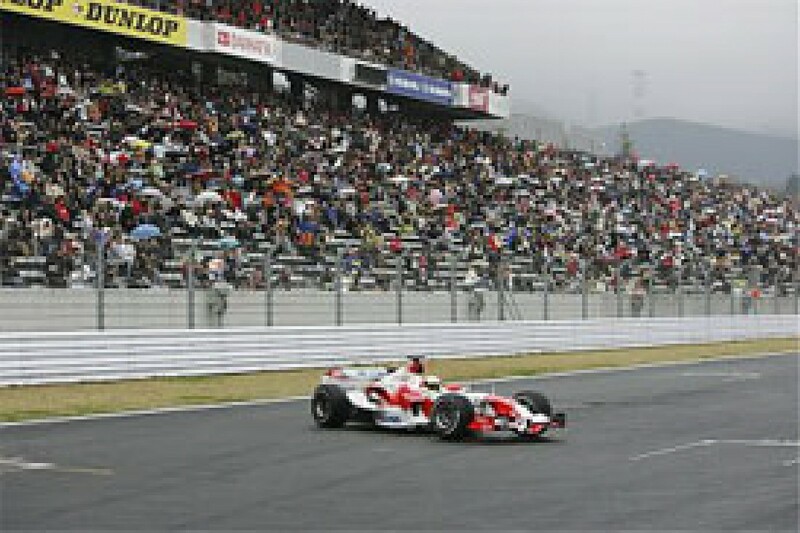 The Fuji race track is a place where I have raced so many times in '95, '96, '97 in Formula Three and Formula 3000 and I've won many races there. 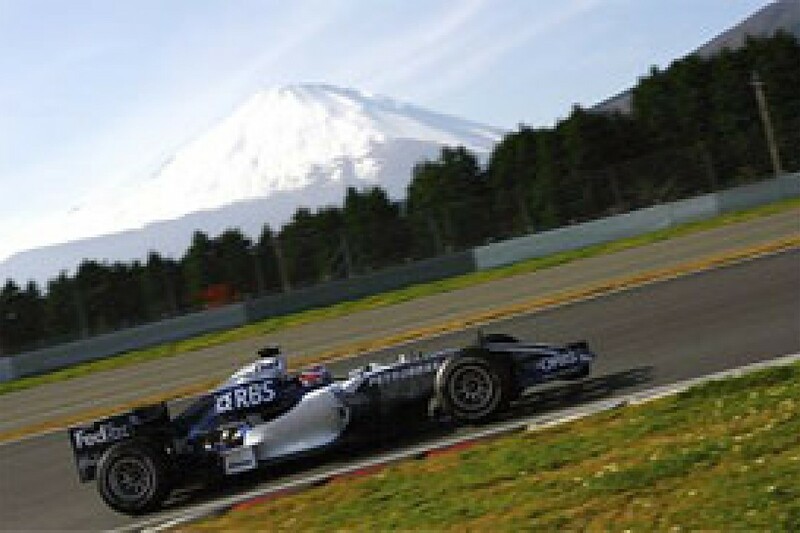 I used to live five minutes away in a small village and obviously because my teams were based very near Fuji we spent a lot of time testing there. "Fuji has been re-designed over the past few years and undergone many changes; especially on the last section where a few slow speed corners have been added to slow down the entry speed for the main straight. However its main characteristic remains unchanged which is its extremely long pit straight, over 1.5km. "Just as a comparison the main straight at Barcelona is 1km. It has extremely hard braking into Turn One because you arrive there at very high speeds. The good thing about this circuit is that it's quite easy to overtake because the straight is very long. "This means you can slipstream the car in front if you have a good car with a lot of straight line speed and if you have good brakes you can out brake going into Turn One. Other corners like Turns Four, Five and Eight are very similar to what they used to be. I'm really looking forward to coming here as it's a great track. "The good thing also for the spectators is that the weather in Fuji is generally very changeable as a result of the neighbouring mountains. So often there are showers or very strange conditions, like very foggy, very dry or very hot and humid in the summer. I guess that we will be running low/medium downforce here, similar to that at Indianapolis because of its great long straight." With their constructors' championship points stripped, and the decision not to appeal, the team have conceded that trophy to Ferrari and can do nothing more than concentrate on the drivers' championship. The result in Belgium was sub-optimal, and allowed Ferrari to close the gap, but McLaren are still masters of their own destiny for the championship: if they are reliable and faster then Ferrari in the remaining races, then one of their drivers will win overall. Accordingly, there should be no let-up in pace for the remaining races. The anticipated nature of the new Fuji circuit, which has more, slower corners than Spa, should see the team perform more on a par with their rivals, so they are going to have to be on their game this weekend. As much to the point, a wet weekend is going to emphasise the importance of putting together the right compromise set-up, and reacting well to changing track conditions: it could be a very mixed up grid, and race. With well publicised rivalry between the drivers, particularly since the 'hard driving' episode around the opening corner at Spa, there is quite some concern that the next time they fight hammer and tongs for position, neither is going to yield and both cars could be taken off the road. The would not only open the door for Ferrari's drivers to get right into the battle for the championship, but potentially start off another round of recrimination and cries of foul play, perhaps leading to punitive action. It will be very interesting to see what, if anything, the team can do to ensure that does not happen, without being censured themselves. 1. Fernando Alonso: a win would put him on top of the championship, so that is what Alonso must be aiming for - but the most important thing is to finish and beat his teammate. Having put in a couple of demonstration laps with Renault last year, he has been to the circuit before, but it seems unlikely that experience will convey much advantage this year. 2. Lewis Hamilton: another race win would give Hamilton his fourth of the year, as many as Alonso, and in a position to still be ranked ahead in the event of a points tie, as he has more second positions; but most important is simply to beat his teammate. Objectives: Both cars on the podium, but most important, both cars to the finish. It was an unremarkable outing in Belgium for Renault, who looked very ordinary and certainly not like they were closing the gap to BMW-Sauber as predicted. Then again, they are pretty comfortably set for third in the constructors' championship, eleven points ahead of Williams and unlikely to be shifted, so it makes sense that they are not too worried about the remaining races this year. Even if the emphasis is on next year's car, they are not out there just to make up numbers: there are lessons to learn, particularly at a new circuit, and taking points away from the competition remains important. The team believe they should have made a better showing in Spa, so this should be a chance to apply the lessons learned - if they succeed, then they can get both cars in to the points this weekend. 3. Giancarlo Fisichella: an engine change and retirement in Spa did little for Fisichella, who has to be looking for a strong end to his season, which is starting to seem eclipsed by the performance of his rookie teammate. 4. Heikki Kovalainen: having run a promotional event at Fuji last year, the rookie is arriving with more experience than most of his rivals. Having gotten to grips with the car, he is on a six-race points scoring streak and has every reason to believe he can extend it this time out, too. Objectives: Make it to Q3 and compete for points. A comfortably dominant performance in Belgium was underpinned by the team mathematically sealing the constructors' championship, now that McLaren have been thrown out. There was no doubt that Ferrari had a complete grip on the race, and that the circuit suited them to a tee. That bodes well for the weekend ahead: they have a good baseline to approach the new circuit, which has similar characteristics, though there are more of the slower corners. On the other hand, McLaren should offer stiffer competition this weekend: they might even be close enough to fight for places. Winning the drivers' championship outright is going to be an interesting challenge. Assuming that McLaren remain reliable, the team will need to back Raikkonen and win every remaining event, with Massa right behind. Even then, they lose if Hamilton finishes third each time. 5. Felipe Massa: with somewhat poorer reliability than his teammate, Massa has a points deficit that will probably see him asked to play the number two role, in the best interests of the team. All he can do to avoid that is to be comprehensively faster, and hope that Raikkonen is not right on his heels for the final pitstop. But being realistic, his chances of winning the championship rest on the McLaren drivers failing to finish. 6. Kimi Raikkonen: coming off a dominant performance at Spa, Raikkonen has won four times, as many as Alonso, but he finds himself eleven points adrift in the leaderboard. Winning the remaining races, with his teammate being a strong number two, is the order of the day. Objectives: Another one-two - with Raikkonen on the top step. It was a miserable outing for the team in Belgium, as they struggled for speed all weekend: consequently they qualified poorly and ran conservative single stop strategies which saw Button overtaken by Sato on the track. Avoiding a repeat performance is high on the list of objectives for the weekend to follow. Since then, they have been testing a raft of changes at Jerez. The team have described these as conceptual - relating to understanding and defining the fundamental changes of direction required for the 2008 car. Though, you would have thought that they had that design well under way by now. So, even though it is a 'home' race, progress in Japan is not expected to be a proper reflection of the number or scale of changes introduced, for a couple of reasons. Firstly, the changes may not work as predicted; and second, if they do, then they represent a change of direction from the underlying principles of the 2007 car, so a new baseline set-up is required before they can even look at an optimum approach for the compromises required this weekend. Mind you, should the updates work out, the additional stability provided should let them get the car more drivable, restoring the drivers' trust so they can lean on it properly and go faster - perhaps then they might challenge for points, or at least be able to fight off Super Aguri. 7. Jenson Button: with a difficult season nearly under his belt, Button has had few opportunities to shine, and is unlikely to have much chance this weekend either, unless the weather provides an opportunity. Unless that occurs, the weekend is likely to be an extended test session, preparing for next year by running the new car. 8. Rubens Barrichello: a quick driver in the wet, it is possible that mixed weather will see Barrichello running particularly well on race day, which would be a welcome sight for the team. Otherwise, like Button, the work of the weekend is to understand the changes on the car. Objectives: Understand the revised car; get both to the finish. Another strong performance from BMW-Sauber in Belgium saw Heidfeld comfortably the 'best of the rest' behind Ferrari and McLaren as Kubica struggled to make up the ten-place penalty from an engine change, despite a decent qualifying session. With their place in the constructor's championship sown up, and the car comfortably better than the remaining midfield players, the team are clearly putting all their efforts into their 2008 challenger, so they are unlikely to close the performance gap to the front at the last three races; on the other hand, with the protagonists for the drivers' championship strictly paying attention to each other, astute calls during the projected mixed weather race could offer an opportunity to outperform - a podium finish is not impossible. 9. Nick Heidfeld: with no experience of this circuit to lean on, staying ahead of his young teammate is going to be an interesting exercise; the technical nature of the circuit should lean towards an experienced head, but "Quick Nick" is going to have a fight on his hands this weekend. 10. Robert Kubica: the relatively inexperienced Kubica has been improving his qualifying form as the season progresses and is now pushing his teammate at every showing. Keeping a level head on race day to make the most of wet conditions could be key to another outstanding performance, however. Objectives: Qualify strongly and have both cars in the points - target a podium finish. Although they sometimes look very good in practice, Toyota have been struggling with their recent performance, as the gaps between the midfield teams have been reduced: they are now struggling to better both Williams and Renault on race day, even though they regularly manage to qualify at least one car in the top ten. Consequently, points are even harder to come by at this end of the season. It will be interesting to see what they can do for their home event: putting on a show is going to be important. Accordingly, they have their last major update for this weekend - a comprehensive aerodynamic upgrade at least, and they are hoping for a couple of tenths from it, which perhaps will give them a chance to compete for points. However, if the team are not able to find the performance for an excellent finish on Sunday, which is entirely possible, then it would be no surprise to find them compromising the fuel loads on Saturday in order to gain places on the grid. Provided they can make it to Q3, that is. 11. Ralf Schumacher: having raced at the old Fuji, Schumacher at least has some experience of the location; with the midfield so tight, perhaps that will give him some advantage here, and a chance to get into the points. 12. Jarno Trulli: the qualifying specialist might have a better opportunity than usual to be well placed on Saturday, given the prospect of mixed weather, compromise settings and limited running for the qualifying conditions - don't be surprised to see him far up the grid, though maintaining the places on race day will be a tough task. Objectives: Put on a show. Beat Honda at all costs. Belgium provided an interesting outing for the team; they again put a car into the points, but had more reliability problems with the other. 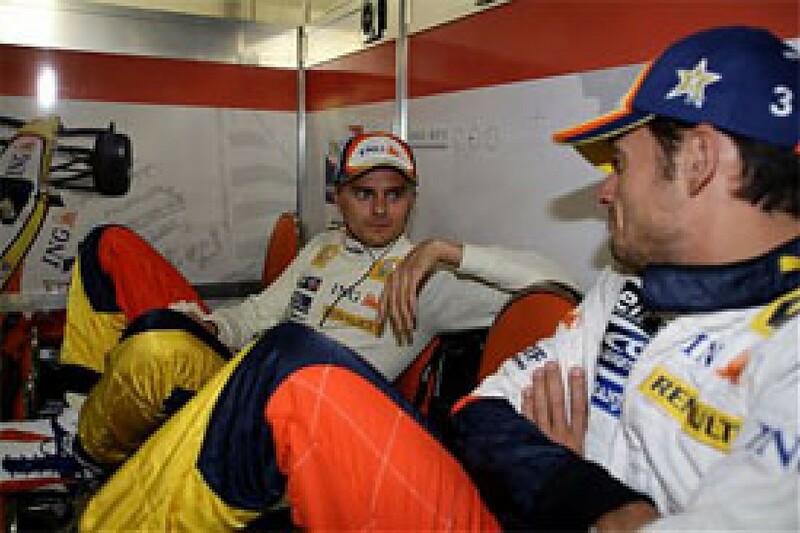 It shows that they are capable of regularly getting into the top ten, if nothing else, and that they have done a good job of closing the performance gap to Renault. Prospects for Japan should be good too. The team are clearly competitive in their relatively low-drag set-up, so they have to be looking for points. Should the reliability problems be sorted, then perhaps they can get both cars up there. Overtaking Williams in the constructors' championship is a very unlikely proposition, but being sure to stay ahead of Toyota is going to require a couple more points finishes this year in order to be sure. Of course, finishing ahead Toyota at their home circuit would salt rub in that particular wound, and give the team something to be pleased about as they get on with the final couple of races this year. Then again, if they have not got a handle on the reliability problems that have dogged the car all season, they are all too likely to miss out altogether. 14. David Coulthard: despite his huge experience, which he brings to bear nicely on race day, Coulthard is still struggling to deliver on Saturday, rarely making it into the final session; this is in turn compromising his race day strategies, so he is missing out on vital scoring opportunities. 15. Mark Webber: always a contender in qualifying, Webber has been putting together some very decent race weekends, though he tends to drift backwards on race day. Still, he has been very quick and had a strong weekend in Spa, so he will be looking for another top ten qualifying and points from the weekend. Objectives: at least one car in Q3, and finishing in the points. It was a tale of two races for the team in Belgium, as one driver did nothing all weekend and the other finished in the points. The car is in good shape and threatens the Renaults for their claim to being the best behind BMW-Sauber, something the team will be looking to repeat this weekend. The team were quick in Belgium, so they have to be quite optimistic as they head to Japan. Clearly, the car has an effective low-drag package, so if they have done their homework well, then perhaps a repeat is on the cards, and more points are there for the taking. With Toyota engines, and racing on the Toyota home track, the team will benefit from a strong outing. 16. Nico Rosberg: with a strong race under his belt, Rosberg is proving himself a reliable qualifier and racer; no doubt he will be upset not to qualify well in to the top ten and finish in the points again this weekend. 17. Alex Wurz: another disaster in Belgium has probably sealed Wurz's future in Formula One - as a test driver, he is peerless, and on race day he is very able, but without being able to qualify the car to within its full potential, he is simply unable to bring home the bacon. If there is any chance of saving his place in the team, it will come from spectacular performances in the last three races - nothing else can do. Objectives: Get both cars into Q3 - and at least one in the points. Since their rather lacklustre outing in Belgium, little seems to be going on with Toro Rosso - although they attended the Jerez test, it almost seems that they have their heads on next season, rather than finishing this one with a bang. Perhaps, with the US Grand Prix as another example of the team performing under par, they are accepting that these relatively low-drag circuits are not well suited to their car and are concentrating on the races that follow. Either way, it is hard to see them putting on much of a show this weekend in terms of moving forwards; rather, a weekend-long battle to show better form than the much improved Spyker could be in prospect, which will do little for morale. 18. Vitantonio Liuzzi: with another solid test under his belt in Jerez, Liuzzi has again illustrated that he is quick and capable; as he still has no drive lined up for next year, he should be hungry and working hard this weekend - and particularly keen to beat his teammate, if nothing else. 19. Sebastian Vettel: the inexperienced Vettel has been an interesting find, and capably illustrated his place in the team has been well earned, though he is not yet regularly outperforming the rather more experienced Liuzzi. With both drivers on a circuit that is new to them, it should be interesting to see who comes out on top this weekend. Objectives: Get at least one car to Q2 and compete in the midfield on race day. Spa was a pleasant outing for Spyker - finally able to play with their new chassis at a circuit that could benefit from the improvements, the team made an impact in the midfield that could see them lose their backmarker label. In Japan, they have more new parts to play with, presumably looking for a package that is a better compromise for the interesting combination of long straight and twisty corners than their Indianapolis solution; perhaps even a similar low drag set-up to the effective Spa solution would do the trick. Considering the stability of the team management, which could change again as the another change in ownership brings new expectations, they have been doing well to remain even close to competitive, let alone build to the point where they can fight well in to the midfield. Another strong outing would do no harm in building moral for the off-season. 20. Sakon Yamamoto: with home crowd support and having raced at Fuji, Yamamoto will be hoping to illustrate he has speed here, more than anywhere. Settling into the team nicely, he seems to be closing the performance gap to Sutil and must be looking forward to seeing what the car can do in its new, more competitive guise. 21. Adrian Sutil: with experience of the Fuji circuit, if not in a Formula One car, Sutil is hoping to have an advantage over his fellow drivers, and perhaps will be able to bring it to bear - certainly a wet weekend would play in to his hands. He might even end up fighting for a top ten finish. Objectives: Get off the back row in qualifying - and compete in the midfield for the whole race. 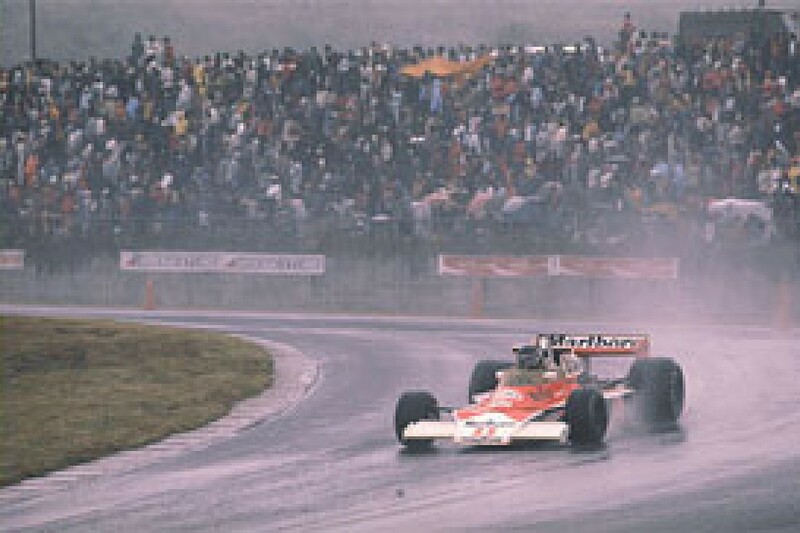 In Belgium, the team struggled to get the cars set up, leaving their drivers complaining about the handling all weekend. Despite that, they managed to finish ahead of Button in the works Honda, Sato putting a tidy move around the outside on his way to fifteenth. Prospects for Japan must be somewhat similar. Being so new, the team have plenty of experience of getting to grips with new circuits, which is a bonus, and with Honda so ambivalent about the chances they made to their car, there is every chance of bearding them again. Being a Japanese team with a Japanese driver will do no harm either. The local crowd should be shouting loudly for this outfit, and the way they are looking, if that is worth even a couple of tenths on a lap, they are going to be fighting well into the midfield. 22. Takuma Sato: the Japanese has raced in Japan, but not at Fuji; it will be interesting to see how he compares with his teammate at a circuit where neither has prior experience, but where he has crowd expectations to live up to. 23. Anthony Davidson: having comprehensively beaten his teammate in qualifying, Davidson has to start finishing ahead of him more regularly on race day; the youngster is clearly quick and committed, and with a season in the seat should be looking to lead the way on race day. Objectives: Finish ahead of a Honda.